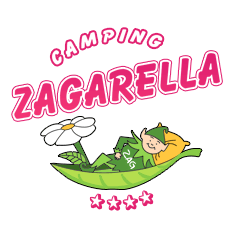 When staying at the Zagarella Club campsite, you are visiting Saint Jean de Monts for your holidays. The capital of the Mounts country, it is a superb place that is very pleasant to explore. Facing the Atlantic Ocean, Saint Jean de Monts is a well-known seaside resort in Vendée. Once you have your towel installed on the fine sand of the beach, enjoy the calm ocean for a swim. Practice aquatic sports like catamaran, sea kayaking or even sand yachting for speed lovers. On the coast you will also find the famous nautical base of Saint Jean de Monts which will welcome you to its ocean-front terrace for refreshment. Shade is provided by stretched sails which create an elegant light show. The riches of the town will allow you to enjoy your holidays just as you expected by visiting the places and practicing the activities that suit you. For example, if you want to take care of yourself, the Spa of Saint Jean de Monts is just a few minutes from the campsite. Massages, treatments, relaxation… It’s an ideal destination to erase tiredness and get the most out of your holiday. During your Vendée holiday, don’t forget to spend some time at Saint Jean de Monts.